We’re always trying to track what historical costume movies and TV shows are coming up. Alas, not a lot is on deck for the next few months, and nothing at all historical is set for summer 2018 release that we know of. So we’ll have to make do with these few trailers, sorted by American release date. As always, you can keep an eye on what’s forthcoming on our Upcoming Movies page! I’m on record as not needing this remake, but nobody asked me, and it’s already aired in the U.K. and is headed to Starz in the U.S. We may hold our noses and review it. Described as a “stylized film” that “marries color and B/W” this Rudolph Valentino features a few big name actors like Isabella Rossellini but, oddly, four different costume designers. This adaption of a Chekhov play set in the 1900s has been getting a lot of buzz because it stars Saoirse Ronan and Elisabeth Moss who are currently hot in Hollywood. Yet another remake, this also aired in the U.K. already, and will now show on PBS in the states. We mocked the flyaway tresses during Snark Week, but otherwise it seems like a decent adaption. I guess this counts as a period flick, it looks kind of 1930s and the costumes are by Oscar-winner Jenny Beavan. Sentimental as hell, with the A.A. Milne character all grown up and re-meeting his childhood bear. I am DYING to see this, but PBS hasn’t said when it’ll air, just “fall 2018.” Costumes are by Joanna Eatwell, who also did Wolf Hall (2015), and this looks yummy! This BBC production aired in the U.K. last month and is planned to hit Netflix in the U.S. sometime this year. As the title indicates, it’s a fictional account of the fall of Troy. This WWII-set film (based on a book of the same name) stars Lily James, Jessica Brown Findlay, and Matthew Goode, all from Downton Abbey. There’s an April U.K. premiere date but nothing for the U.S. yet. What historical costume movies or TV series are you looking forward to? Have you heard of anything upcoming that we missed here? Alas, no trailer or release date yet! Yup, I know, but he’s my favourite author. I also am looking forward to seeing The Miniaturist, after Pinteresting and Googling costume pics. The women’s look to be fitted well. No Claire Foy Anne Boleyn misfit. Although I’ve read that Ms Foy was pregnant while filming Wolf Hall. So I wondered if that might have contributed to bodice not fitting. Bc MS Eatwell was spot on with others. The Miniaturist looks fantastic, but I’m meh on most of the others. Did anyone else feel that after having watched the Valentino trailer, they’d pretty much seen the movie? I’ve seen “Little Woman”, “Howards End”, “The Miniturist” and “Troy, fall of a city”. In my eyes only “The Miniturist” was okay: when it came to costumes…. [as a Dutch girl I so often get annoyed that the historical locations are always wrong – like with such films as “The girl with the pearl earring” / “Tulip Fever”]. I’m soooo looking forward to [but scared at the same time] of “The Guernsey Literary and Potato Peel Pie Society” since I read the book while visiting Guernsey back in 2012. The whole Island was abuzz with rumors that ‘their’ novel would finally be made into a film on their Island. But Kenneth Branagh [director] & Kate Winslet [as Juliet Ashton] were not to be. I have a few bones to pick with The Current War. I guess I would have to watch the movie, trailers can be misleading. Foremost, Tesla would NEVER have played pool. If they researched so little other inaccuracies would probably drive me nuts. Maybe I’m being nit-picky, but I know as much about this as you ladies know costumes. As a UK reader, I’ve seen most of these. The picks are The Miniaturist and the remake of Howard’s End. The latter was surprisingly fantastic. Beautifully cast and costumed. Troy: Fall of a City hasn’t finished yet, but it’s knockabout fun. Don’t expect too much, but the guy playing Achilles is my new crush (David Gyasi). I found Little Women tedious, so I only watched one episode. Have to admit that I’m not the book’s greatest fan. I was always a What Katy Did girl, and they never do that one. The miniaturist and the potato peel look good! Thanks for this post… ive been desperate to go to the movies but nothing looks good! Blah! I have heard good things about The Miniaturist and Howard’s End. Have not watched either yet. Not such good reviews for Troy as expected. I love ancient history, all history in fact and it really annoys me that any series set in ancient times is Trying to be GOT and not taking the period or the literature seriously. (No problem with a comedic approach such as Monty Python. At least they have a passion for the history and aren’t just milking it.) I think the only recent representation of the ancient or classical period that is any good is Agora. Dr Who, Fires of Pompeii was ok as well. I was pleasantly surprised by Howards End. I didn’t see the need to re-make it and adored the Thompson-Hopkins-BC version. But it’s good… very good. MacFadyen and Atwell are splendid. I still prefer Bonham-Carter as Helen and West as Mr Bast, but overall I think this new one may be better (though it’s been a long time since I saw the older version). 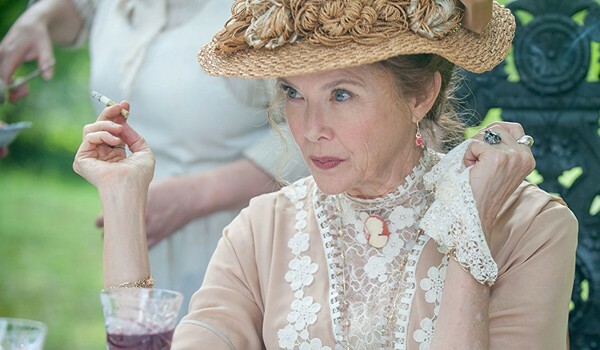 I really need to see the new adaptation of Howards End! I was suspicious at first, but I simply adore Hayley Atwell. She is such a splendid actress. The Seagull is giving me bad vibes, as it is my favourite Tšehov play and I have yet to see an adaptation that would satisfy me. Somehow the american adaptations of russian plays/books etc. fail more often than not. The Miniaturist looks very exciting, i am definitely going to see it. I just watched the first episode of the Miniaturist and I really like the entire look of it. There are so many references to the Dutch golden age paintings in the overall look of the series and many of the scenes actually look like Vermeer paintings with that amazing contrast of bright daylight and dark interiors with lovely colours of (mostly) Petronella’s dresses. Also, it can only speak of the quality of and the thought put into the costuming of the series when all the ladies have their hair up (except when they are alone in their bedrooms) and all the men wear hats outdoors. Pleasantly surprised by the series overall. I’m so looking forward the Guernsey Literary and Potato Peel Pie Society! I only just recently stumbled across information about this: https://www.imdb.com/title/tt5584756/. It is a biopic about a woman, and has female writers AND a female director, so I give it thumbs up for representation, at least! 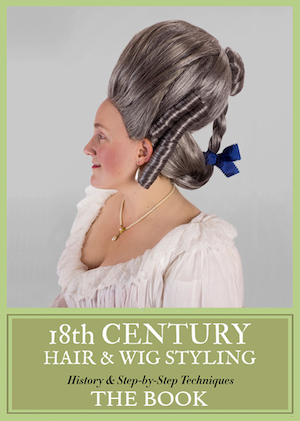 From the images I’ve found online, I’d say that the costumes look like an interesting mix of decently accurate (for example, I like the late-1770s big hair on some of the women) and just plain weird (Maria Theresia Paradis’s obvious wigs, among other things). Still, it definitely looks interesting.